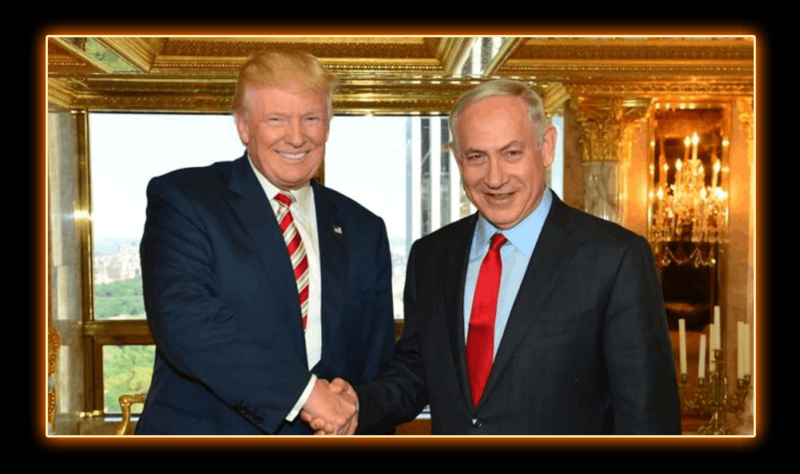 President Donald Trump met with Israeli Prime Minister Benjamin Netanyahu on Wednesday to hold a joint press conference at the White House regarding the future of the Israeli–Palestinian conflict. The upshot of which is neither leader committed explicitly to back a future independent Palestine, a longstanding bedrock of US policy. “As far as settlements, I’d like to see you hold back on settlements for a little bit. We’ll work something out but I would like to see a deal be made,” Trump said at a joint press conference with Netanyahu at the White House before their meeting. In response, Netanyahu played down the issue of settlement building. “I believe that the issue of the settlement is not the core of the conflict, nor does it really drive the conflict. I think it’s an issue that has to be resolved in the context of peace negotiations,” Netanyahu said. Last month, Israel approved the construction of 3,000 housing units in West Bank settlements, amidst a spate of settlement expansion in the wake of Trump’s inauguration. On Wednesday, Trump also said that he is open to either a one-state or two-state solution to the Israeli-Palestinian conflict, a departure from U.S. stance in previous administrations. “I’m looking at two-state, one-state, and I like the one that both parties like… I can live with either one,” Trump said. The previous U.S. administrations have pushed for the two-state solution to the Middle East peace process, an idea of establishing an independent Palestinian state that lives side-by-side with Israel. Israel has claimed all of Jerusalem as its “eternal and undivided capital.” The international community has never recognized East Jerusalem, a territory Israel seized in the 1967 Mideast War and later annexed. The Palestinians see East Jerusalem as the capital of their future state. The idea of moving the U.S. embassy to Jerusalem was discussed in the past, but never carried out for fear it would spark fresh tensions in the region. The report alarmed Palestinians, who urged the White House not to abandon the goal of an independent Palestinian nation. Mehdi Hasan of Al Jazeera was stunned by the change of direction in policy. This is ASTONISHING. US president live in the White House tearing up decades of U.S. foreign policy on Israel/Palestine.